A humorous card for Mother's Day. 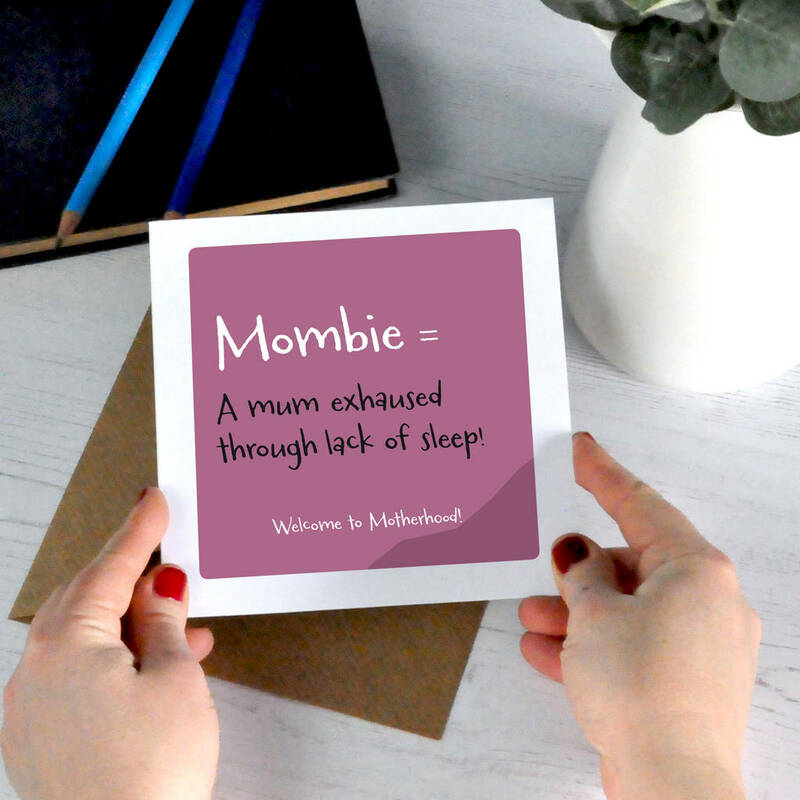 A funny 'Mombie' definition card to highlight those sleepless nights! The card is pink with contrastng black and white text. The text reads Mombie = A mum exhausted from lack of sleep. Available with a personalised message for any occasion.